The incident was one of many which made Dalton notice that he did not perceive the world around him in the way most others did, and led him into years of inquiry on color perception. He concluded that his vitreous humor, the jellylike substance in the eye, was tinted a slight shade of blue causing him to see colors differently. However, we now know that Dalton was colorblind. Specifically, he was unable to distinguish between green and purplish red. The cause for Dalton’s color blindness is pretty straightforward— a gene that was supposed to code for the green sensitive photoreceptor cells in his eyes had mutated. As a result, when light reflected off of the bright red stockings and into his eyes, there were fewer photoreceptor cells, called cones, to recognize the red and relay the message to his brain. But decades after Dalton began to doubt his own visual capabilities, HL de Vries, a Dutch scientist, first noticed something odd. In his studies, the men were colorblind, but the women related to them were actually able to distinguish more shades of red than normal. De Vries theorized that in addition to the three types of cone cells that our eyes have to recognize red, green and blue wavelengths, these women also had a mutant cone that somehow resulted in their sons’ color blindness. Could it be, then, that the same mutant cone that worsened color perception in the men also caused heightened color perception in their mothers and daughters? De Vries thought it did and called these women tetrachromats — as opposed to trichromats with the usual three cone types. Since then de Vries has been proven right. Living among us are women with the ability to distinguish between shades that look exactly the same to the average trichromatic person. And although researchers are unsure of how prevalent it might be, they estimate that about 2 to 3 percent of women are tetrachromatic. Tetrachromats are only women because the receptors for red and green are coded on the X chromosome. Since men have only one X chromosome, a glitch in the coding leaves men colorblind. But, because women have two X chromosomes, the extra X acts as a backup in case of a mishap in the coding of the other chromosome. But in some cases, the cones that pair of X chromosomes codes for are not exactly alike. A slight variation between cones and the wavelength of light that they’re receptive to can produce a fourth type of cone with the ability to differentiate even more shades. 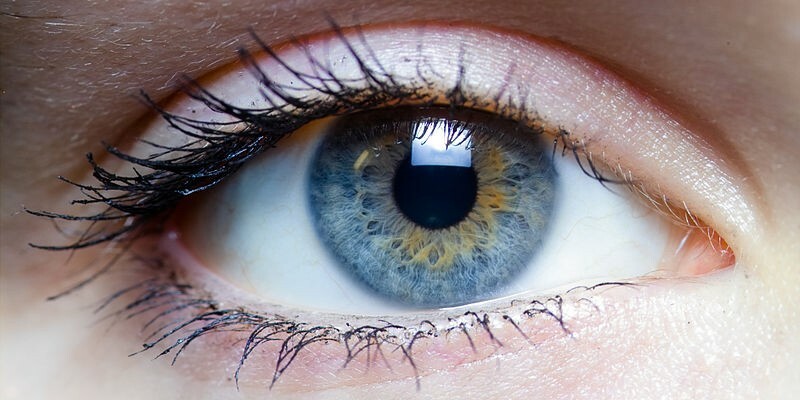 The average human eye can recognize a million different colors but a tetrachromatic eye with four cones can see 100 million colors. That’s 99 million more shades than most of the population. But what does it really mean to be a tetrachromat? Scientists have hypothesized that tetrachromats would probably be great at jobs that require color comparison. Jobs like make-up artistry or authenticating artwork. They even suggest lie detection as a career path since tetrachromats would be able to distinguish between the slight differences in hue when your skin flushes. But the most likely scenario is that they’re probably not even aware of their unique abilities. To them, seeing those additional 99 million shades is a normal, everyday experience. Very interesting. Attempted the test I found online. Explains why my daughter and I often say clothes are a different shade (black and red usually) and why my other children have no idea what we are talking about.